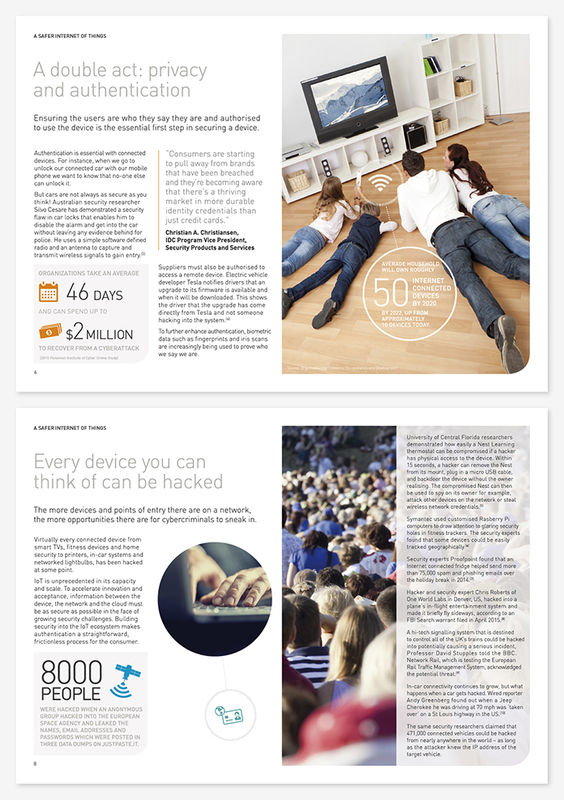 Share the post "Gemalto – Securing the Internet of Things"
Gemalto is a world leader in digital security. They develop software applications, secure personal devices such as smart cards and tokens, provide managed services and are the largest manufacturer of SIM cards. 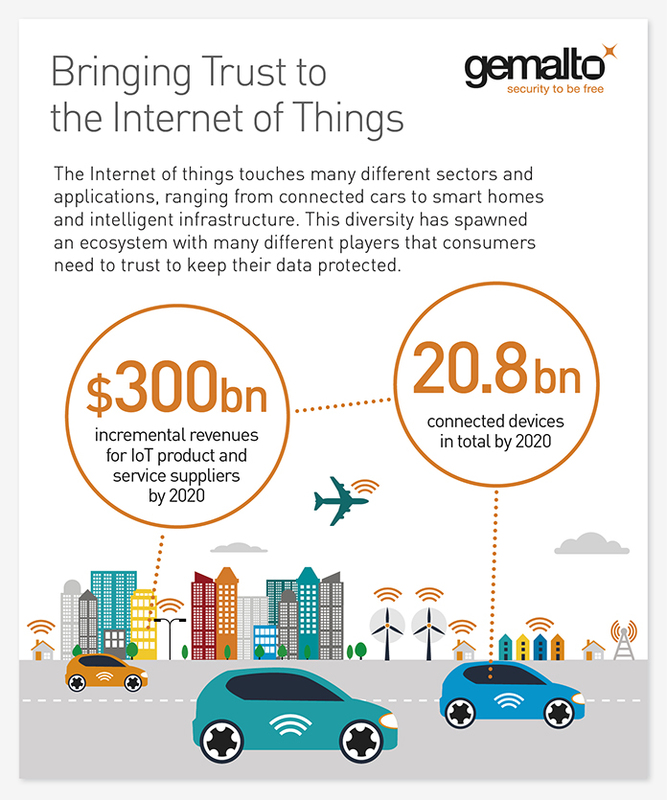 Gemalto offer a broad range of security products and services for IoT, including encryption, authentication, privacy, rights management and compliance. Operators, OEMs and enterprise customers may not be aware of the full extent of Gemalto’s capabilities. 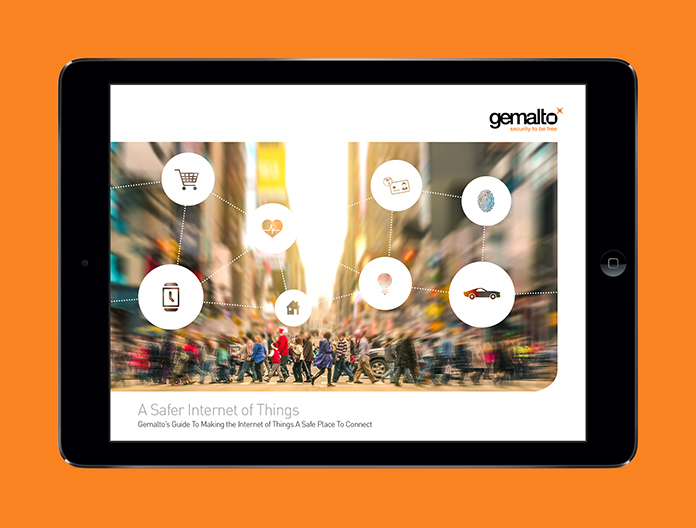 Gemalto aimed to educate the industry about the varying security issues in the IoT ecosystem, and consequently, how Gemalto addresses these challenges. In order to communicate this, they needed a set of digital and print collateral for use online, face-to-face, at events and in lead generation. 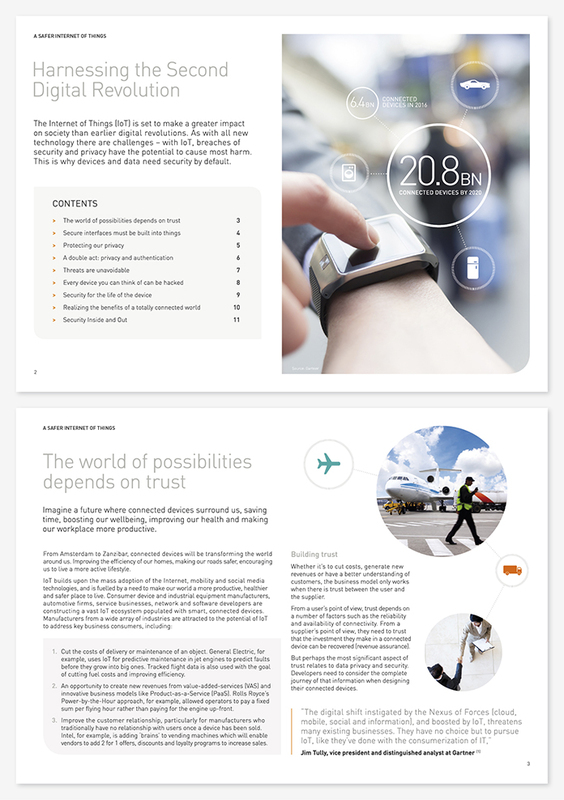 The collateral was written, developed and project managed by long term collaborators Futurity Media and designed by Edmundson Design – in print and an eBook, infographics and Powerpoint presentations. Futurity and Edmundson Design worked with the Gemalto team based in Paris over a two month period. 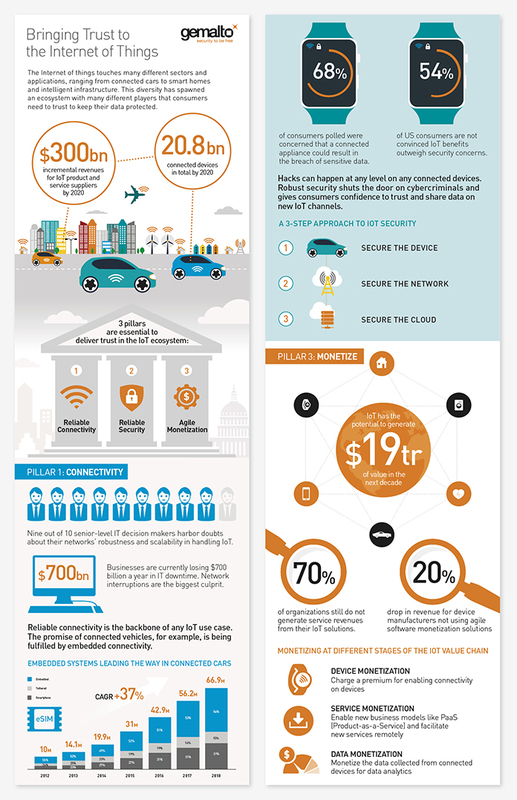 All items needed to be consistent across the varying formats and to highlight Gemalto as a world leader in IoT security.